In Bohol Divers we have two kinds of boats: speed-boats and banca. The first ones are use in for short trips around the local reef and the bancas are the one weuse for island trips. All our boats have been desinged for the confortness of our divers in order to have a pleasant experience. Let us present them. At Bohol divers we have two different types of boats: speed boats and bancas. We use the first ones for short trips and the banca for trips to the islands or with a greater number of divers. All the boats have been designed with the comfort of the divers in mind, to offer a better experience. Here we present them to you! 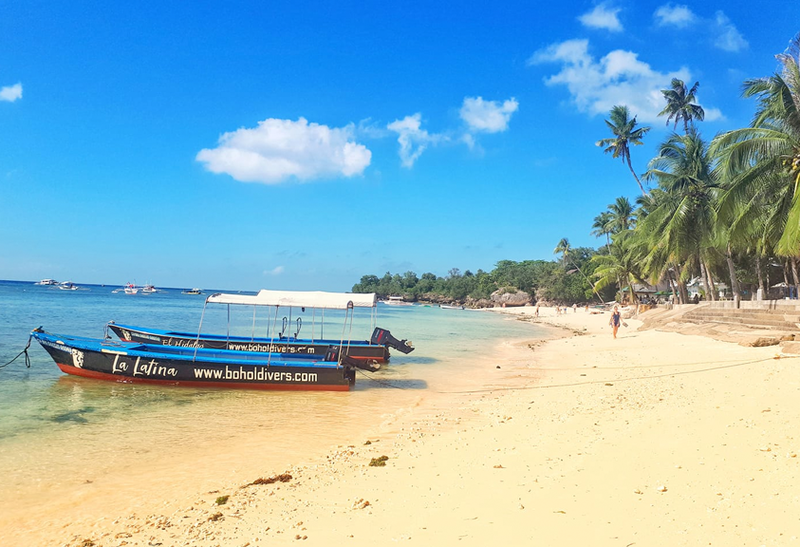 The newest of our speedboats, with 75 HP, 9 metres in length and capacity for 12-14 divers, transport our divers quickly on Panglao dives.Did you know…? Hidalgo has its origin in the Middle Ages and is related to the adjectives noble, generous and courageous. It is a banca (traditional Philippine boat, made of wood and bamboo) of 17 meters in length and capacity for 20 divers. It has a dry area, equipment area, toilet and sunbathing area.Did you know…? Cibeles is a Greek goddess, mother of the Olympic gods and symbol of the earth and fertility, represented on a cart pulled by lions in the fountain that receives its name in Madrid. The newest and largest of our fleet. It is 25 metres long and has a dining area, closed cabin, solarium area, equipment area and toilet. You have to come and see it! Are you coming to dive to the Philippines? To the north of the Philippines, is Apo Reef, which is the second largest barrier reef in the world after the Great Australian Barrier Reef. Thanks to all our divers, our family, you did it!